Interested in participating? Contact us today! 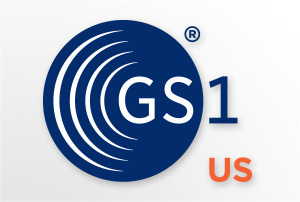 GS1 Standards provide unique identification of items and products that provide the link between the item and the information pertaining to it. GS1 Standards begin with GS1 Identification Numbers used to uniquely distinguish all products (trade items), logistic units, locations, assets and relationships across the supply chain. GS1 Barcodes are capable of holding varying amounts of data to accommodate different needs, such as expiration date or a batch and lot number. Used in both the physical and digital worlds, GS1 Identification Numbers uniquely distinguish products, trade items, logistic units, locations, assets, and relationships in the supply chain. It is through the use of these numbers that information can be shared—from manufacturer to customers and consumers. The Global Data Synchronization Network (GDSN) enables trading partners to globally share trusted product data. After contracting with a Certified Data Pool, suppliers can exchange product information with UniPro member distributors and all of their other GDSN engaged customers in an automatic and efficient way that ensures product data integrity. Publishing product data through the GDSN can help increase manufacturer profitability through more efficient supply chain management. Click on the link to the UniPro Foodservice GDSN Vendor Implementation Guide below to view our product data publication processes and requirements. To date, there are 339 UniPro Member locations with access and 331 Vendors engaged with UniPro in support of the initiative.